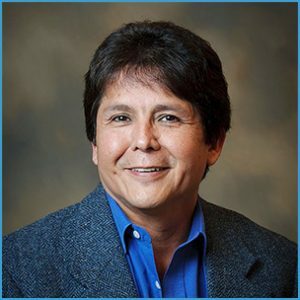 Since December 1984 when first elected as Chief of the Osoyoos Indian Band, part of the Okanagan Nation in south-central British Columbia, Clarence Joseph Louie has consistently emphasized economic development as a means to improve his people’s standard of living. Under his direction (30+ years), the Band has become a multi-faceted corporation that owns and manages nine businesses and employs hundreds of people. In 1998 the Osoyoos Indian Band Development Corporation was formed to manage and provide strategic direction to the existing businesses and as well as seek out new economic opportunities. Clarence was appointed C.E.O. Other achievements under Chief Louie’s tenure include the negotiated settlement of three Specific Land Claims, the successful negotiation of over 1,000 acres of lease developments, the acquisition of hundreds of acres of land to add to the reserve, the purchase of a viable off-reserve business, the financing of a major golf course development, the initiation of the Osoyoos Indian Taxation By-law, the financing and building of a new pre-school/daycare and grade school/gymnasium, construction of a new Health Center/Social Services building and in 2008 the building of a 1st class Youth Centre. The Osoyoos Indian Band has modeled not only sustainable business development, but also socio-economic development, whereby the community’s social needs are improved. Chief Louie’s constant message is, “Socio-economic development is the foundation for First Nation self-reliance, our communities need to become business minded and begin to create their own jobs and revenue sources, not just administer underfunded government programs. Each of our First Nations must take back their inherent and rightful place in the economy of their territory. Native people must change their mindset from; Spending Money To Making Money”. As confirmation of the Osoyoos Indian Band’s commitment to business, the Band owns and operates nine businesses on the reserve, including: vineyards, retail stores, a construction company, a Readi-Mix company, a championship golf course, eco-tourism businesses and activities in the Forest Division. In 2002 the Band opened the first Aboriginal winery in North America-Nk’Mip Cellars. The winery is a joint venture with Vincor International. Although economic development is the means to achieving self-sufficiency, Chief and Council continues to emphasize the importance of maintaining the Okanagan language and culture in all aspects of the band’s activities including business. The establishment of the Nk’Mip Desert& Cultural Center is a testament to this commitment of balancing business while investing time and money in culture. This eco-cultural center provides visitors an opportunity to experience the Okanagan culture and explore the desert lands that are a part of their traditional territory. The Nk’Mip Desert & Cultural Center is also an example of the continued growth of the band’s businesses. Chief Louie’s efforts have been widely recognized in Canada and the United States. In 1999, he received the Aboriginal Business Leader Award from All Nations Trust and Development Corporation. In the same year, Clarence was chosen to join the Governor General of Canada in the 2000 leadership tour. In 2001 Chief Louie was appointed to the Aboriginal Business Canada Board and in 2007 was appointed as Chair of the Board. 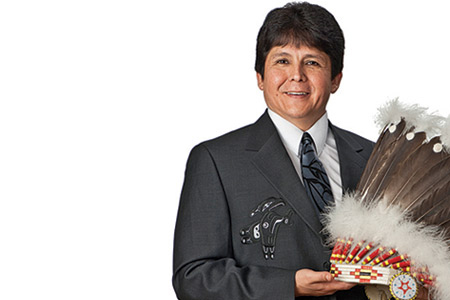 Maclean’s Magazine listed Chief Clarence Louie as one of the “Top 50 Canadians to Watch” in their January 2003 issue. More recognition came in 2003 as the U.S. Department of State selected Clarence as 1 of 6 First Nation representatives to participate in a 2-week tour of successful American Indian Tribes. In April 2004 the Aboriginal Achievement Foundation presented Clarence with the award for “Business and Community Development.” The National Achievement Awards represent the highest honor the Aboriginal Community bestows upon its own achievers. Ready to start a conversation about achieving breakthrough results? Call us for a FREE Demo TODAY! President & CEO, Connie Ekelund, member of the Canadian Association of Management Consultants, since 1994.